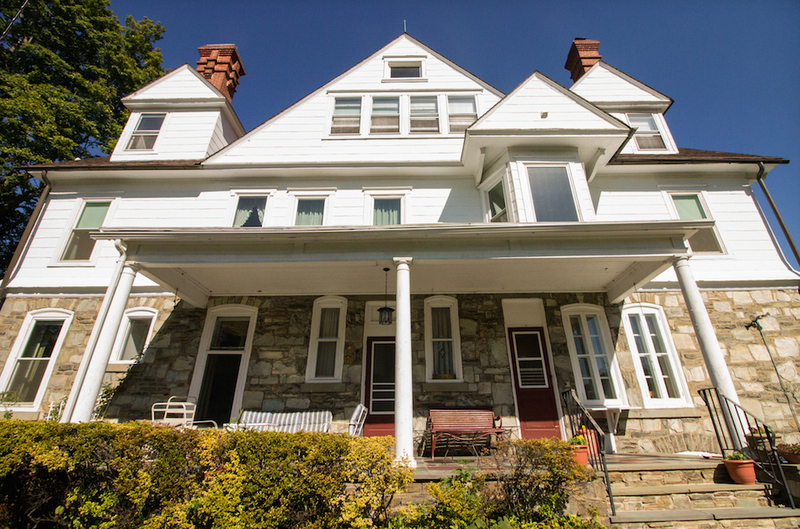 Editor’s Note: We travel to the Somerton neighborhood of Northeast Philadelphia where the Cranaleith Spiritual Center sits on a bucolic 10-acre property. The late-Victorian house at the center of the parcel, formerly known as Mill-Rae, was built in the late 19th century for women’s rights activist Rachel Foster Avery and was the defining commission that set in motion Nichols’ career as America’s first independent female practitioner of architecture. 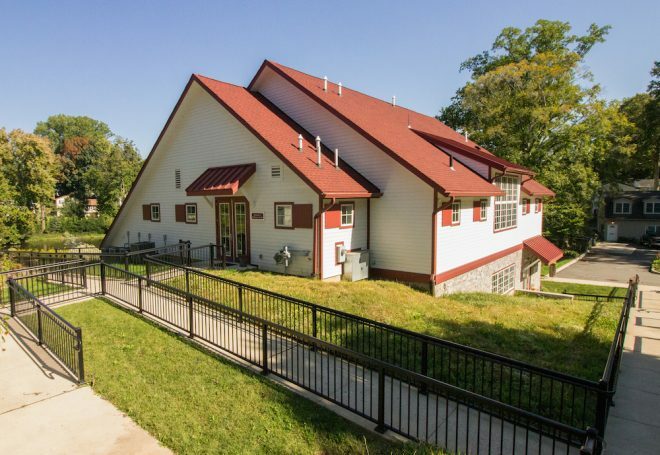 On Saturday, October 29, the Cranaleith Spiritual Retreat Center will host an event to celebrate its forthcoming placement on the National Register of Historic Places and the legacy of the women who helped shaped its history, one that continues to inform the work that is done there today. 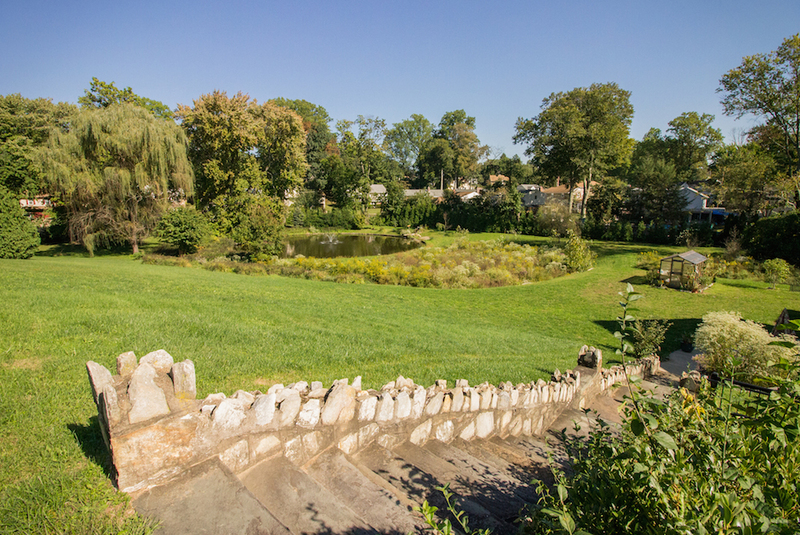 Editor’s Note: In this final installment of our series honoring Minerva Parker Nichols we travel to the Somerton neighborhood of Northeast Philadelphia where the Cranaleith Spiritual Center sits on a bucolic 10-acre property. The late-Victorian house at the center of the parcel, formerly known as Mill-Rae, was built in the late 19th century for women’s rights activist Rachel Foster Avery and was the defining commission that set in motion Nichols’ career as America’s first independent female practitioner of architecture. The view from Napier Road of the slim driveway into Cranaleith Spiritual Center is unassuming. It’s marked by a simple residential mailbox. One could pass by for years unaware of the lush, pastoral landscape that unfurls behind a small grove of trees and emerges at the bottom of a sprawling, manicured lawn showcasing the large white Victorian house, once called Mill-Rae. The expansive view is not a great deal different than it would have been a hundred years ago, but for the handful of cars parked around the house and a row of colorful beehives dotting the lawn’s western edge. Arriving for a tour earlier this month I approached the house and knocked on an old screen door half ajar that appeared to be the only accessible entrance. I was greeted by Sister Mary Trainer, founder of the Cranaleith Spiritual Center, who was eating soup with a friend at a simple wooden dining table in the kitchen Trainer grew up in when the house was her family home. Rustic cupboards, formica countertops, and antique farm tools adorned the walls. I felt as if I was lost in the countryside and had wandered uninvited and unannounced into a stranger’s home. But Trainer assured me that I was in the right place. She had seen my car and had already phoned the staff members who would be showing me the property. In the meantime, I was free to wander around and make myself comfortable. It was a startling experience to walk into a place as private and pastoral as this seemed to be while still inside Philadelphia’s city limits. I was a stranger and expected to be treated as such. This blurring of public and private accommodation was unexpected, but I soon realized that this was one of the central reasons why the 126-year-old house was built. 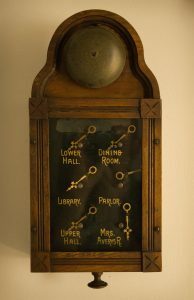 Commissioned by Rachel Foster Avery, a prominent figure in the women’s suffrage movement, Mill-Rae was designed by Minerva Parker Nichols, the first American independent female architect, in 1890. Born in 1858, Avery served as corresponding secretary of the Women’s Suffrage Association and helped to organize several major conventions in the United States. She was the daughter of J. Heron Foster, editor of the Pittsburgh Dispatch. 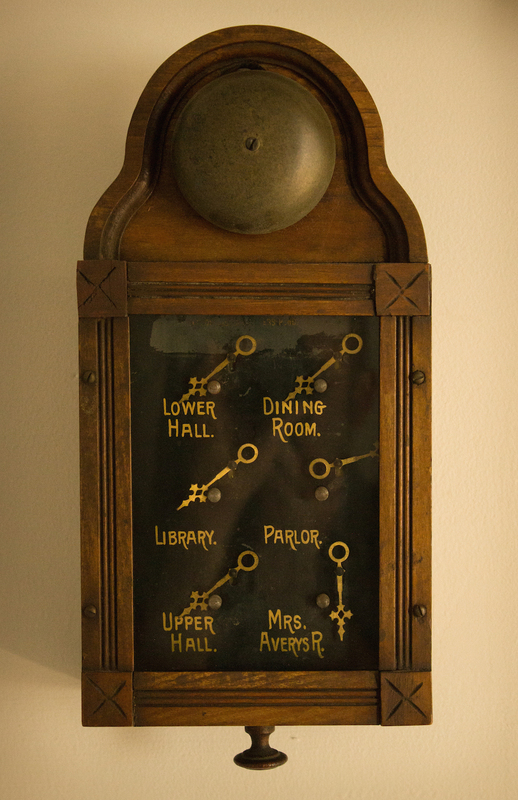 A wealthy woman, Avery invested a great deal of money into making Mill-Rae a place that would not only serve the private functions of a family home, but would also function as a meeting and lodging place for members of the suffrage movement and other women’s organizations. For this purpose, the common rooms are large and well-lit, and there are ten bedrooms, far more than needed for the Averys and their three children. Anthony’s concerns proved largely unfounded. Foster remained dynamically active in the movement, planning campaigns throughout the United States, traveling widely with Anthony, and organizing the first International Council of Women in 1888. At that first meeting of the ICW, Foster met Cyrus Miller Avery, who she married within a year, once again straining her relationship with Anthony. They ultimately repaired the rift and remained close; until her death, Anthony regularly visited Avery at Mill-Rae. Avery was an independently wealthy woman at a time when women were more commonly dependent upon husbands and fathers. She had the unusual opportunity to invest in the causes she cared about. Although she had been married to Avery for two years at the time of commissioning Mill-Rae, the house was built entirely with her money, and her name was the only one on the deed. In 1905, Rachel Foster Avery sold Mill-Rae to Peter and Kate Smith, who owned it for only one year before selling it to Joseph and Wilhelmina Trainer in 1906. The Trainers gave the property and home the name “Cranaleith,” a combination of the northern Ireland birthplaces of Trainer’s parents, Cranlome and Arvalee. The couple also claimed that the name meant “sanctuary of trees” in Gaelic. Joseph Trainer was a state senator from 1931 to 1937 and a successful business owner. His family was involved in the whiskey industry, and he purchased Premier Brewery in 1912, which he reopened after Prohibition in 1933 as Trainer Brewing Company. He also owned the Colonial Ice Cream Company and, in 1927, he purchased the Roller Bearing Company of America. Cranaleith served as the Trainer family home for three generations. During that time they made very few major changes to the house with the exception of updating the kitchen, which includes some of the only distinctive Trainer touches left in the interior of house, namely the pre-industrial hand tools on display along the tops of the walls. The Trainers’ sensibility was not exclusively rustic. 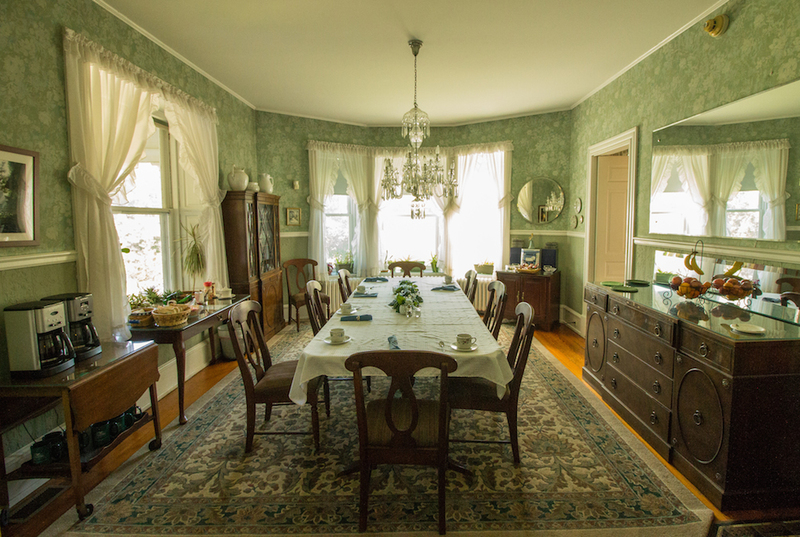 A crystal Waterford chandelier purchased for Mrs. Trainer hangs in the dining room. In 1996, Frank and Mary Trainer founded Cranaleith Spiritual Center, a not-for-profit created to sponsor a partnership with the Sisters of Mercy, the order of Catholic nuns of which their daughter Mary was a member. When Frank Trainer died, the property was bequeathed to the Center and Sister Mary Trainer took the reins as director, a position she held for 15 years. The Sisters of Mercy was founded in 1831 by Catherine McAuley, a woman who became devoted to the needs of poor women and girls after witnessing the abuse of servant girls in Dublin. As was later the case with Rachel Foster Avery and Sister Mary Trainer, Catherine McAuley was blessed with wealth that enabled her to realize her vision of empowering those less fortunate. She inherited money and used it to found the first House of Mercy on Lower Baggot Street in Dublin, a place to shelter and educate women and girls. 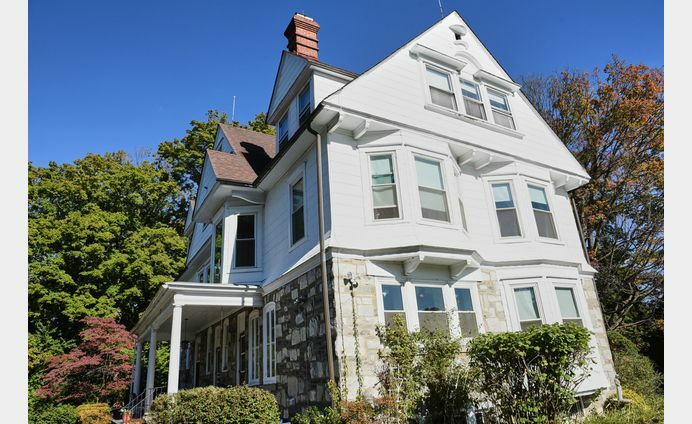 Over the last two centuries, the Sisters of Mercy have expanded to provide social and educational services in locations throughout the world, including Cranaleith in Somerton. “The Mercies have the critical concern of empowering women,” explained Veneta Lorraine, director of the center since 2013, while touring the grounds of Cranaleith. 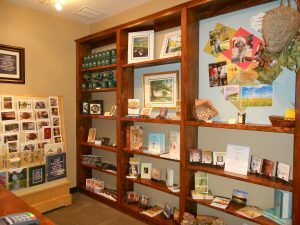 The Center’s mission aims at providing a contemplative retreat for those seeking wholeness and transformation, from both within and as a positive member of society. Their long list of programming and public outreach extends to veterans, individuals with mental illness and substance abuse problems, people dealing with abuse and trauma, those seeking spiritual guidance, and anyone in need. While Cranaleith has remained virtually unchanged since Avery owned it, the rest of property has recently undergone major transformation. In 2012, the Mercy Education and Conference Center opened in a new building used primarily for retreats and conferences. On the lower level a large industrial kitchen sparkles with stainless steel and a dining hall opens onto a large outdoor patio. Future plans for expansion include a chapel with a wall of windows overlooking the large pond filled with koi at the edge of the property and a new lodge with private bedrooms for overnight guests. The juxtaposition between the historic home and the new buildings is striking, but not jarring—the conference center echoes architectural elements of the home’s exterior design without attempting to outright mimic them, and it is partly nestled into the slope of a hill so that it appears smaller than it is. The new buildings function in concert with, but not in complete deference to, Cranaleith’s history and visual presence. Perhaps one of the best representations of how staff assembles the old and the new is a quilt hanging in the dining hall. It commemorates the Center’s vegetable garden, which is maintained by volunteers and those struggling with homelessness, addiction, and mental illness. 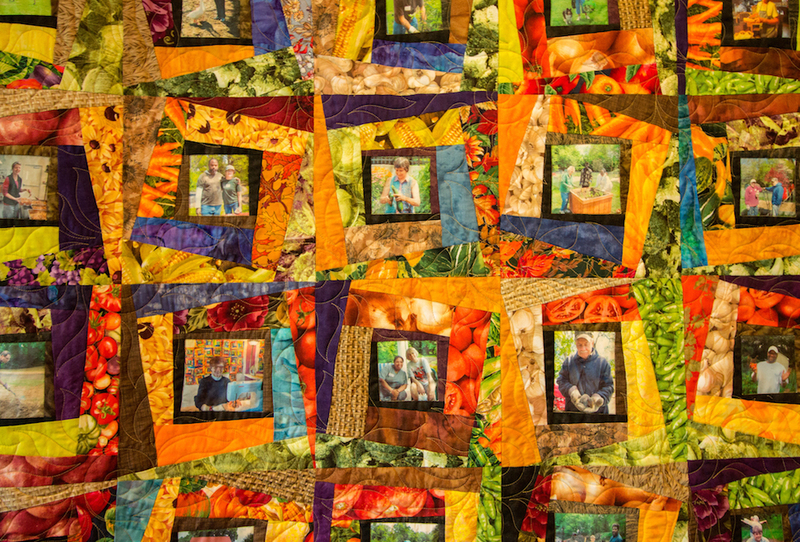 In the middle of each brightly colored patch is a digitally transferred photograph of the members of the Cranaleith community at work in the garden—men and women kneeling in the earth, digging, weeding, and showing off the fruits of the harvest. 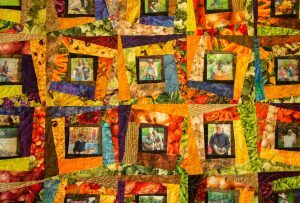 Throughout history, quilts and other textiles have told the stories of people and places. In this case, it is a story enhanced by images that could only be created using the tools of the 21st century. Lorraine recalled how, when displayed at Cranaleith’s 15th anniversary gala at Knowlton Mansion, the quilt glowed like stained glass. The garden program is just one way in which Cranaleith’s outdoor features serve a functional—and evolving—role in the work done there. Chickens huddle in a coop on the edge of the property and provide eggs for the kitchen. The honey produced in the beehives is sold in the gift shop. As I walked with Lorraine around the property she pointed out a small spiral garden that serves as a living example of how to grow food in small spaces. There was also a sunken area of tall grasses, a bioswale, designed to trap pollutants and silt from runoff water. In the corner of the property, visible from both the house and the conference center, the pond serves as a reminder of the true extent of the land’s history. 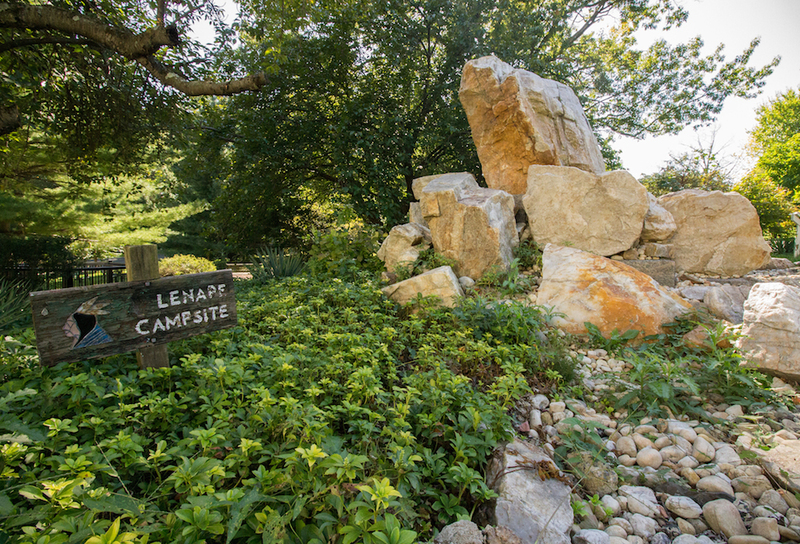 Lorraine explained that, before Mill-Rae existed—and before much of Philadelphia existed—the property was inhabited by Lenape people. The pond, which used to be fed by five springs, was a watering spot for horses. Ruth Picozzi, a volunteer who gave me a tour of the house, explained that the Lenni-Lenape was a matrilineal tribe. Standing where Rachel Foster Avery and Susan B. Anthony had once stood, Ruth smiled as if harboring a secret. “It’s this girl power thing!” she said, gleefully. It was like the Lenni-Lenape women and their lineage system had imbued the ground with a jolt of feminist energy that electrified centuries of women to come. I kept thinking about “this girl power thing” after leaving Cranaleith. The influence of powerful women upon the property is striking; the historical importance of Rachel Foster Avery and Minerva Parker Nichols is undeniable. But what makes this history feel most significant at Craneleith is the extent to which it informs and enliven the work done there today—the way that Ruth Picozzi’s eyes light up when she imagines the bonds of sisterhood leaping across generations. Cranaleith feels like neither a dusty monument to the past nor an entirely modern institution with an incidental history. Rather, it feels like a place that strives to reshape itself with each generation, but is only empowered to do so through the inspiration it derives from the past. Join the Cranaleith Spiritual Retreat Center on October 29 for “Celebrating the Women of Cranaleith: Women of Strength and Vision,” featuring historical reenactments, a panel discussion, and tours of the Mill-Rae house. The event is free and open to the public. For more information see the event page HERE. Regular tours of Mill-Rae are available by appointment only. Call 215-934-6206 to schedule. Sarah Kennedy lives and writes in South Philadelphia. She has an MFA in Creative Writing from Rutgers-Camden and a BA in Women’s Studies from Harvard. She has, at other times, been a writing teacher, a lexicographer, a travel writer, a waitress, a bartender, a clothes peddler at Saks Fifth Avenue, and an amusement park ride operator.